Don't Forget Mum - 50% off Art For Her! 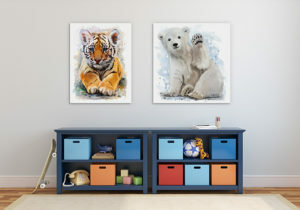 Here at Wall Art Prints we love walls. We hate seeing them looking cold and naked, and we don't believe you should have to pay a fortune to dress them in beautiful art that complements your personality and home decor. 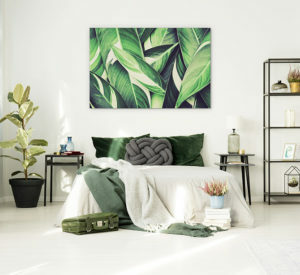 So we've created an online art gallery that is jam-packed with stunning wall art in a wide variety of styles and genres. And best of all? As a purely online store, we're able to avoid many of the costs that traditional art galleries face, and pass the savings onto you in the form of low trade prices every single day. Our mission is to brighten your home one wall at a time. Are you ready to start? With over 20,000 prints in 150 different collections, our art gallery has been designed to help you find the perfect wall art for your home. Whether you're looking for a particular style of art, a specific subject, a trendy pattern or fine art photography, we've got you (and your walls) covered. And if you know you want something but you're not quite sure what that something is, why not try browsing our collections by room. 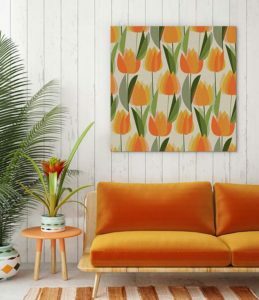 All prints are available in a range of sizes to suit any space and to make it even easier to find the perfect print for your decor, you can filter every collection by colour. So whatever your taste or interior design style, we're confident you'll find a collection that speaks to you. From the comfort of your sofa! Just because our prices are cheap, it doesn't mean our products are. We use only the finest materials and we pride ourselves on the quality of our craftsmanship. Our canvas prints are produced on premium 360 GSM matte cotton using state of the art printers to retain colour integrity and vividness. Next, the canvas is professionally gallery wrapped around a kiln-dried timber frame and coated for protection against UV light, fading and dust damage. Finally, the finished print is carefully checked, packaged for shipping and delivered direct to your door, ready to hang and enjoy. 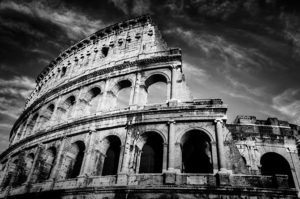 Our museum quality giclée prints use HP pigment archival inks for beautiful colour accuracy and all the tonalities and hues of the original painting. Carefully printed on matte and ultra smooth 200 GSM archival paper, acid and lignin free for fade-resistant longevity. Finally, the finished print is carefully checked, packaged for shipping and delivered direct to your door, custom trimmed with a 1" border suitable for framing. Of course, the proof is in the pudding, and that's why we offer a 100% satisfaction guarantee on every print produced. Buying wall art should be an enjoyable and relaxing experience. However we appreciate that at times purchasing online can be fraught. To help put your mind at rest, we take every step possible to minimise your risk. When you shop with us, you can rest easy that we'll treat your personal details with the utmost of care within a safe and secure environment. Your information is 100% secure, will never be shared without your consent, and payment details are encrypted using SSL security before being deleted. Once your artwork arrives, if you're not happy with it (for any reason!) just let us know. Each print comes with a 100% satisfaction guarantee, so return it to us within 14 days and we'll exchange your print for another of your choice. We also fully insure our prints during the shipping process and offer a 20-year guarantee against fading and warping. As part of our low price commitment, we offer FREE delivery across Australia, the United States and Canada on all orders, regardless of quantity or size. For shipping to all other parts of the world, we charge a small flat-rate fee of just $14.95. Regardless of the size of your print or order and regardless of the material selected. No catches and no hidden costs. As our wall art is made to order with love and carefully checked before dispatch, please allow 7-10 business days for delivery.